Khaled Kaim, the Libyan deputy foreign minister, charged that elements of the Lebanese group Hezbollah were fighting alongside the rebels in the east of his country. “The snipers in Misrata are elements of Hezbollah. This is not an anecdote, it’s real,” he declared, adding that Western intelligence agencies were aware of Hezbollah activity in Misrata. Misrata’s insurgents have withstood a siege and bombardment by Libyan leader Moamer Gaddafi’s forces for more than a month. 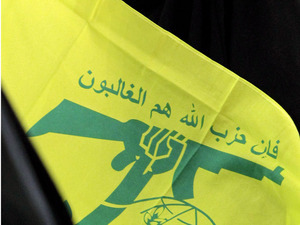 Hezbollah, however, denied sending fighters to aid rebels in Misurata. “Hezbollah denies this accusation and maintains that all such talk is unfounded,” said a brief statement released by the group on Thursday. Gadaffi also said Qatar had sent military trainers to Libya and was supplying the rebels with French-made Milan anti-tank missiles. Of course they do,when do they accept responsibility for anything.Well,they admitted to destroying a ton of your country in a needless war with Israel,and the overthrow of the government..At least they wasn’t Hamas and threw you off the roofs. (wow)They admit that Iran is in charge and you are not.And they are setting you up currently with a giant powder keg against Israel that surely could very well lay a waste to your country and I dont want to imagine that horror. Kick out the Iranians and all their proxy’s.Your Lebanon,not Iran province #2.